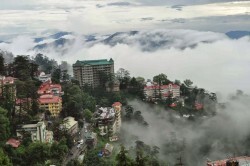 Pickup from Delhi & depart for Shimla by surface approx. 150 Kms / 04 hrs. Late afternoon you arrive in Shimla and check inn at the hotel. Later visit the famous Mall Road which still has some building built in the British Style. Evening will be at your leisure. Overnight at the hotel. Morning you proceed to Naldhera, Which is famous for its Golf Course & scenic beauty. On a clear day you can also view the Kailash Ranges. En route you can explore the time at Narkhanda and Mashobra. Evening back to Shimla via Shimla. In Shimla visit Jakhoo Temple and Mall Road by self through foot (Jeep Allowed for Jakhoo Temple and Mall Road No vehicle Zone). Overnight at the hotel. Morning after breakfast Depart for Kufri by surface approx. 30 kms/45 min. Morning you depart for the winter sports capital – kufri, where you can photograph yourself in Pahari or Himachali outfit, available on hire. You can also horse riding or Yak riding on your own. Also visit nearest destination as the name pf Fagu. Back to Hotel and Overnight at the hotel. Morning you depart for Delhi approx. 150 kms/ 4 hrs. Afternoon halt at Chandigarh and Visit Rock & Pinjore Garden. Later continue drive for Delhi. 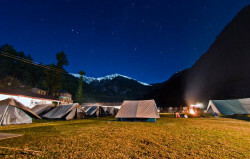 Reach Delhi and Overnight stay at the home by self.